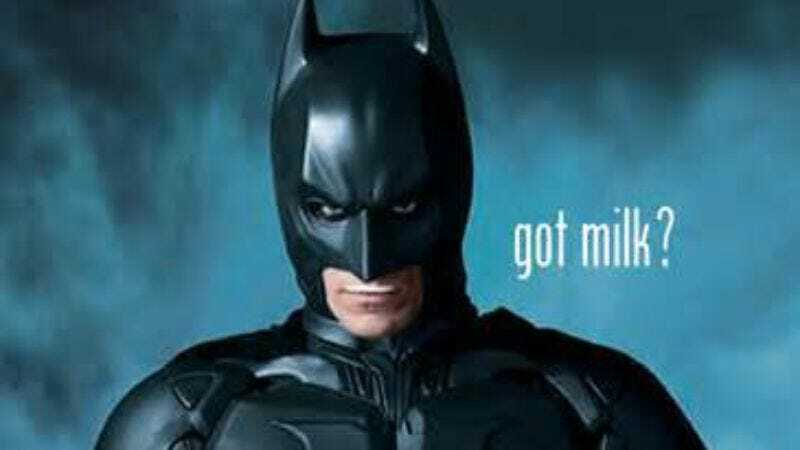 Say goodbye to "Got Milk?" and be about that "Milk Life"
After more than 20 years of rather impertinently asking, “Got Milk?” in its popular, oft-copied series of ads, the American milk-pusher cabal has decided to retire its slogan, having come to the conclusion that humans have already been consuming the milk of other mammals for millennia without first seeing it smeared suggestively on the upper lips of celebrities. Or, more accurately, that dairy milk is in need of a hip makeover, in order to compete with soy and almond milk alternatives, a decline in sales of cereal, and the growing trend of “not eating breakfast” that’s currently sweeping the nation. And so the Milk Processor Education Program (the slightly less Orwellian sister to the Milk Processor Reeducation Program) has hired a new ad agency and adopted a new slogan, “Milk Life.” In addition to sounding like a hip-hop-ified credo for the streets—these streets that run with milk, where we’re about that #MilkLife—“Milk Life” is also an imperative sentence, urging you to grab life by the teats and squeeze. Its new series of commercials shows people engaging in energetic daily activities, like chasing their kids, walking their dogs, and playing in “garage bands” that rudely set up on the driveway until the milk cops arrive—all powered by windmills and parachutes of milk shooting out of their asses, just like the reason lots of people aren’t about that milk life in the first place. In addition to promoting the awesome power that milk gives you to breakdance and play basketball, just like you feel like doing after chugging a big glass of milk, this new campaign also hopes to raise people’s awareness that milk contains 8 grams of protein, just slightly more than an egg. “[Protein is] really in the news and on consumer's minds," said Julia Kadison, interim CEO of MilkPEP and definitely a human being, not some alien who regards our biology with a suspicious scientific detachment. "But a lot of people don't know that milk has protein, so it was very important to make that connection between milk and protein." And now that you know all about milk’s nominal amount of protein, you know everything you need to know about this milk life.